1500 words / 7 min. Tweet Share Was President Trump right when he tweeted that “all agree the U. S. President has the complete power to pardon”? It is true that the power of the President of the United States to issue pardons is indeed one of the president’s most powerful Article II powers – but, it is also, despite the implication of President Trump’s tweet, limited. Was President Trump right when he tweeted that “all agree the U. S. President has the complete power to pardon“? It is true that the power of the President of the United States to issue pardons is indeed one of the president’s most powerful Article II powers — but, it is also, despite the implication of President Trump’s tweet, limited. President Trump has a point: the president’s power to pardon is exceptionally strong. It is not, however, “complete” in the sense of “absolute”; in reality, the power comes with limits, but those limits require people to enforce them. 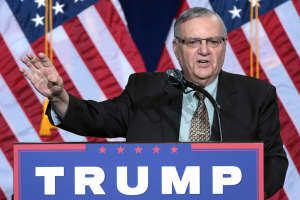 Given its power, and the potential for abuse, the power to pardon is normally used according to strict norms and traditions — but, as with President Trump’s pardoning of former sheriff Joe Arpaio, there are some notable exceptions. Because of just how extensive and powerful it is, the power to pardon has the potential for very real abuse by a “bad actor” occupying the office of the president. And like all of the “checks and balances” embedded in the American system (including those inherited from England), it very much relies on the person in power to use it ethically and various people (Congress, voters) to keep him or her in check. First, the power of the president to pardon does not cover impeachment. Impeachment is one key “check” of executive power entrusted to the legislative branch. Second, it only covers offenses against the United States. Private liability for civil harms cannot be “pardoned” (but executive-branch officials have wide, but not complete, immunity for official actions while in office). So, for example, victims can bring private lawsuits for damages against a defendant even if that person has also been pardoned for those actions and thus faces no criminal liability. Third, it does not cover state proceedings. Only a state governor, acting under the authority of a state constitution and its rules, may issue pardons for violations of state laws. This is another limit on federal power; this one was created by our division into a federal system. Neither the 14th Amendment, nor the Supremacy Clause, nor the judicially approved increase in the Commerce Power have changed these foundational limits. Not all limits are derived from the Constitution. Traditions and norms are also key. When they are violated, it’s often a clue there’s a potential problem. All requests for executive clemency for federal offenses are directed to the Pardon Attorney for investigation and review. The Pardon Attorney prepares the Department’s recommendation to the President for final disposition of each application. — About the Office, Office of the Pardon Attorney, 2017. However, the regulations governing this process are not binding on the president. Only Article II itself is. Unsurprisingly, then, there are some exceptional cases of pardons, including President Ford’s pardon of Richard Nixon after his resignation, President Carter’s pardon of Vietnam-era draft dodgers, and President George H.W. Bush’s pardon of individuals facing charges relating to the Iran-Contra Affair. The pardon of Arpaio, which follows none of the traditional norms or practices, falls into the “exceptional cases” category. Why should we be concerned about the power of the president to issue pardons? The President can always exercise the authority to pardon executive branch officials, thus limiting the availability of damaging information that might have been produced in a public proceeding. The existing weaknesses in accountability mechanisms directed against misconduct within the executive branch are severely exacerbated when coupled with the President’s ability to pardon subordinates in order to hide misdeeds connected with the White House. Such a concern remains a realistic one in the context of the current investigation into Russian interference in the last presidential election. Up to today, the courts have broadly interpreted the Constitution’s grant of power to the president under Article II. One solution? An amendment to the Constitution. Another approach? The courts could insist that the president be specific in issuing pardons. 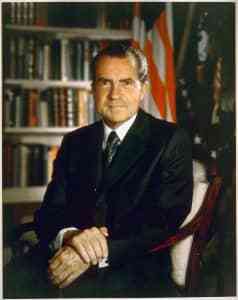 Richard M. Nixon, July 8, 1971. National Archives and Records Administration (NARA). Smith and Johnson argue that this kind of “specificity” limitation has strong historical support. It might help combat some of the problems of executive abuse of the pardon power without requiring a constitutional amendment or even a fundamental reinterpretation of the Constitution. Again, the people can step in: Ford lost the next election to Carter. But doesn’t a pardon for “contempt of court” infringe on the judicial branch’s power? 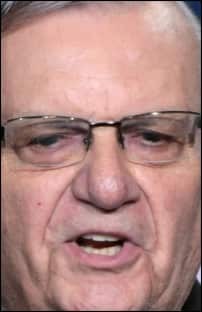 President Trump’s pardon of former sheriff Joe Arpaio for contempt of court raises a potential separation of powers issue. [It] is urged that criminal contempts should not be held within the pardoning power because it will tend to destroy the independence of the judiciary and violate the primary constitutional principle of a separation of the legislative, executive and judicial powers. It [the power to pardon] is a check entrusted to the executive for special cases. To exercise it to the extent of destroying the deterrent effect of judicial punishment would be to pervert it; but whoever is to make it useful must have full discretion to exercise it. His suggestion if the pardon power were to be abused? Exceptional cases like this, if to be imagined at all, would suggest a resort to impeachment rather than to a narrow and strained construction of the general powers of the President. [A]s the very essence of a pardon is forgiveness or remission of penalty, a pardon implies guilt; it does not obliterate the fact of the commission of the crime and the conviction thereof; it does not wash out the moral stain; as has been tersely said; it involves forgiveness and not forgetfulness. — Murphy v. Ford, 390 F. Supp. 1372, 1375 (W.D.Mich. 1975).